Boris Indra Bandyopadhyay is an independent design researcher as well as an interior and communication professional. He founded the Berlin/Frankfurt based studio BANDYOPADHYAY interior + communication in 2013. At the Köln International School of Design he studied design as well as cultural studies at the Humboldt University of Berlin. On the topic of “Non Intentional Design”, he interviewed designers such as Andrée Putman, Konstantin Grcic and Ettore Sottsass on a research trip to find out how people take advantage of design and “misuse” or better repurpose it; the results were published by the Museum für Gestaltung in Zurich.He won the ecodesign competition “Eco-intelligent solutions through the use of new media” of the Republic of Austria. 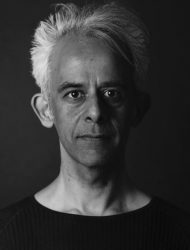 Boris Bandyopadhyay taught design analysis and history as well as communication design at the Würzburg University of Applied Sciences and the Bern University of the Arts, where he worked from 2006 to 2009 to set up the research field social communication. His current research focuses on the relation between the user and the artifact which is changing due to the digital transformation of our living and working environments. One important aspect for him is to explore the design of participation or user involvement as key element of social design. 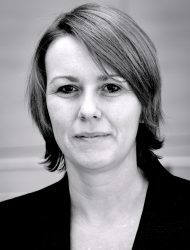 Jocelyn Bailey is a designer with particular expertise in social design and policy. 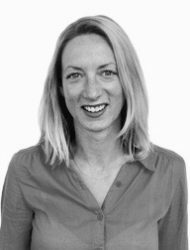 She is a senior consultant at service design agency Uscreates, where she works with a range of government and public sector clients on strategic design projects. She is also pursuing a PhD through the Arts & Humanities Research Council’s ‘Design Star’ Doctoral Training Program. Based at the University of Brighton, her research examines and critiques the growing trendof design being used as a strategic and policy tool by governments to support the development of practice in this field. In 2014 she was a Visiting Scholar at the V&A, working on a project for the AHRC, mapping social design research and practice. 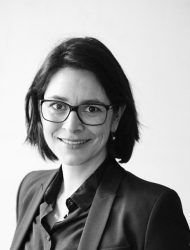 Previously, Jocelyn worked for cultural consultancy BOP, and led the manufacturing, design and innovation team at Westminster think tank Policy Connect. Jocelyn trained as an architect at Cambridge University, and has an MA in History of Art from Birkbeck College (University of London). 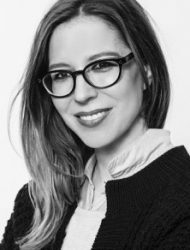 Dr. Claudia Banz is a curator and design- and art historian and since 2017 curator for design at Kunstgewerbemuseum Berlin; from 2011–2017 she was head of the department of art and design at Museum für Kunst und Gewerbe Hamburg. In Hamburg she was responsible for the new permanent presentation of the modern and contemporary design collection as well as the art nouveau collection. She also curated exhibitions like “Fast Fashion: The dark side of fashion” and “Food Revolution 5.0.” She was an organizer for the symposium “Social Design: Geschichte. Praxis. Perspektiven.” For the Utrecht Manifest 09 – Bienial for Social Design she curated “ Unresolved Matters: Social Utopias Revisited”. She is editor of the Kunstforum volume on “Social Design” (2011) and “Social Design. Gestalten für die Transformation von Gesellschaft” (2016) and co-editor of “Fast Fashion. The dark side of fashion” (2015), “Jugendstil. Die Große Utopie“ (2015), “Food Revolution 5.0” (2017). Ruedi Baur has been placing his design work in the context of the public space since the 1980s. Working primordially as a graphic designer for numerous cultural institutions in different country, he has also been teaching interdisciplinary courses at different schools since 1990s. He lead the recherche institut Design2context in Zurich, then Civic city in Geneva. Programs like: “Urban Spaces and Design”, “Orientation-desorientation”, “Visible-invisible”, “Civic design”, ”Design and complexity”…, present his attitude as designer, teacher and rechercher. As designer he intervenes on problems related to the identification, orientation, scenography and, in broader terms, the representation of institutions, urban spacesand political territories, often alongside architects and urban planners. Stephanie Vera Baur is a Sociologist, Cultural Scientist, specialised in visual and urban anthropology, she is associate researcher in Sociology of Design at the University St Gallen, Switzerland and visiting lecturer at the University USEK, Beirut, aswell as the University of Political Sciences and the EHESS, Paris. 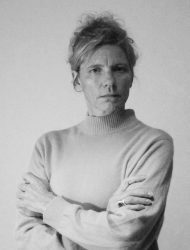 Vera Baur develops a research and interdisciplinary practice in the crossing of culture, sciences and politics. She founded and lead since 1989 INTERDIS_Institute for Interdisciplinarity, Berlin and realized numerous publications and exhibitions, as well as conferences and research projects. After her international career as independent exhibition curator, critic and director of exhibition spaces for contemporary art, she was founder and co-director of the Institute of Art, Design and Mediatechnology at the GSO University of Nuremberg (2000-04), the Institute Design2context at the University of Arts Zurich (05-11) and committed herself inter alia as member of the directory board at the Society of Interdisciplinary Visual Sciences (GIB) and of the Transmedia Academy Hellerau, Dresde. She is president of the international Association Civic City – Institute for critical research and sciences in design and runs with Ruedi Baur different research programmes on Relation Design in collaboration with the University of Art and Design Geneva and University of Strasbourg as well as the department of social design at the Designatelier Integral Ruedi Baur, Paris / Zurich. Massimo Botta is head of the Master of Advanced Studies in Interaction Design and co-head of the Interaction Design Lab at SUPSI, where he leads a research program on novel interface solutions in the area of AmI and applied research projects in the field of web and mobile services and applications, digital archives, graphical user interfaces, software design and domotic systems. He received a PhD in Industrial Design and Multimedia Communication from the Politecnico di Milano and he worked at Domus Academy Research Centre and at Philips Design, developing EU and R&D research projects on the integration between the technological development and the design of interactive products and services. From 2010, he has been a board member of the Swiss Design Network on design research (SDN). He is also a peer reviewer of the groups of experts in evaluation in the field of design for the ANVUR, the national agency for the evaluation of universities and research institutes in Italy. 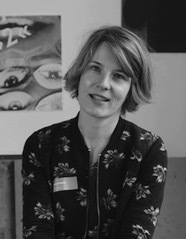 Until 2015 Uta Brandes worked as a professor for Gender Design and Design Research at the Köln International School of Design, Technical University Cologne. She is co-founder and co-owner of “be design” as well as author and editor of numerous publications, the most recent one being “Gender Design – Streifzüge zwischen Theorie und Empirie”, Basel (Birkhäuser), 2017. She is also a frequent lecturer at universities in Germany, Japan, Hong Kong, China, Taiwan, Korea, Australia and the USA. 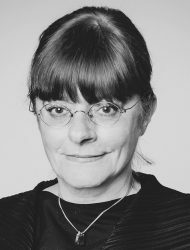 Uta Brandes is co-founder of the German Society for Design Theory and Research and co-founder and chair of the “international Gender Design Network”. Earlier job roles included: Research assistant at the University of Hanover; deputy director of a Hanover-based institute for women’s studies; vice-secretary of state of a ministerial department for Gender & Equality in Wiesbaden; development of the Swiss Design Center in Langenthal, director of the ‘Forum’ of the Art and Exhibition Hall of the Federal Republic of Germany, Bonn. 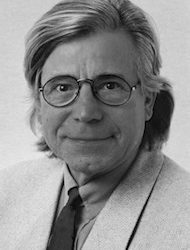 Bazon Brock is emeritus professor of Aesthetics and Cultural Education at the Bergische Universität in Wuppertal, Germany. Additional professorships at Hamburg University of Fine Arts (1965–1976) and the University of Applied Arts, Vienna (1977–1980). In 1992 he was awarded an honorary doctorate at ETH (Swiss Federal Institute for Technology, Zurich) and in 2012 at the Hochschule für Gestaltung, Karlsruhe. Since 2014 he is honorary professor for Prophecy at HBKsaar (University of Arts Saar), Saarbrücken and in 2016 he received the Von der Heydt-Prize from the city of Wuppertal. He developed the method of “Action Teaching”, in which the seminar hall becomes a place for staging oneself and others. From 2010 to 2013 he implemented courses for professional citizens at the Karlsruhe University of Arts and Design. He represents the “Society for Working on Unsolveable Problems and Measures of Higher Authority” and the “laboratory of Universal Poetry and Prognosis”. Michael Erlhoff was founding dean and professor for design theory and history at the Köln International School of Design, Technical University Cologne, guest professor and lecturer at many universities (e.g. Hangzhou, Shanghai, Hong Kong, Sydney, Tokyo, Fukuoka, New York). 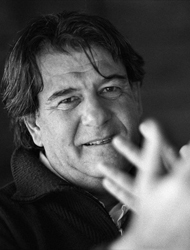 He is co-founder of the St. Moritz Design Summit, Switzerland, founder and president of the Raymond Loewy Foundation. He is an author and design consultant. Since 2016 he has been an honorary professor at the University of the Arts, Braunschweig/Germany. He lives in Cologne. Martin Gessmann’s career is double-tracked. He graduated in philosophy, German and French literature from Eberhard-Karls-University in Tübingen. From the mid-1990s onwards, he was an assistant professor at the Ruprecht-Karls-Universität Heidelberg, where he also got his first appointment as a professor in 2010. In 2011, he moved to HfG Offenbach am Main. Gessmann’s fields of work are cultural studies and philosophy of technology as well as aesthetics. He is working in the design department. Another line of business in Gessmann’s career is journalism, mostly television, where he spent a total of 15 years until 1997. 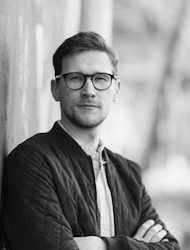 Gessmann is still busy as a co-editor of a philosophical journal and as an interview partner on cultural topics, not only about design, but also politics and soccer. Cooperations with technical and scientific disciplines also led to the publication of science books, most recently with the Heidelberg neurobiologist and Leibniz prize-winner Hannah Monyer on the topic of memory. Tanja Godlewsky graduated in design from the Köln International School of Design (KISD). Taking on board the school’s interdisciplinary approach to design education, she has consistently pursued a multi-facetted design career, including graphic design, multi-media production (from styling, set design, casting, location scouting to final production for photo, film, and video projects), and PR for several record labels. In 2000, she set up her own design agency and has since won several design awards. In addition to gender issues in design, her work is focused on the interfaces of design and music. Since 2006, Tanja has also been a teacher and visiting professor. Matthias Görlich is a communication designer, teacher and researcher. In 2000, he set up his design studio as a platform for critical research, education, and design development. He worked on numerous international projects and consultancies including commissions by the United Nations, Haus der Kulturen der Welt Berlin, Städelmuseum, Schirn-Kunsthalle and Weltkulturen Museum, Frankurt among others. He is co-editor of the “Civic City Cahiers” (with Jesko Fezer), “Studienhefte Problemorientiertes Design” (with Jesko Fezer & Oliver Gemballa) and “Vergessene Schulen” (with Philipp Misselwitz and Nina Gribat). 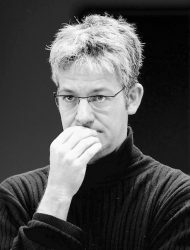 Matthias Görlich taught at various universities such as University Stuttgart, Städelschule Frankfurt, Hochschule für Gestaltung Karlsruhe and University for the Arts Zurich. Since this year, he is a regular professor for Information Design at Burg Giebichenstein University of Art and Design Halle. Anke Haarmann is a philosopher, visual artist and professor of design theory and design research at the design department of the University of Applied Sciences in Hamburg, Germany, where she also heads the new center for design research. She has published extensively on the subject of artistic research. In her artistic practice, she has realized numerous participatory projects and worked in the context of art in the public interest. Haarmann studied philosophy and fine arts in Hamburg and Berlin, participated in the postgraduate program at the JvEyck Academy for Art, Design and Theory in Maastricht, and received her PhD in philosophy from the University of Potsdam. Publications are: “Zu einer Kritischen Theorie des Social Design” (On a Critical Theory of Social Design) in: “Philosophy and Design” ed. by J-C. Dissel, Bielefeld, 2016. “Besetzerkulturen” (Squatters Culture) in: “Design Cultures” ed. by Y. Milev, Munich, 2013. Relevant art works are “Tamatebako”, Kyoto, 2013, “Keimzelle” a participatory project, Hamburg, 2011-2015 “The Waste Project”, 2017. Jacqueline Hen (1989) is a designer and researcher. During her studies at University of the Arts Berlin and Art Center Collage of Design Pasadena, she specialized in Visual Communication, Spatial- and Experience design. Her work investigates possibilities of social transformation through communication and participation in the intersection of physical and virtual habitats. Currently she is working as an academic-artistic-assistant at the Academy of Media Arts Cologne, exMedia department. From 2014 to 2017 she assisted Studio Tomas Saraceno on the research on spiderwebs and the exploration of new sustainable ways of inhabiting. 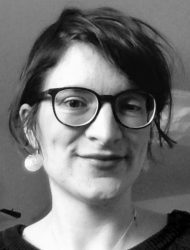 She worked as a research assistant at Fraunhofer Center for Responsible Research and Innovation Berlin (2014-2016) concerned with Technology Transfer Research, Process Design, Transformative Methods and the development of interactive holographic interfaces. Bianca has been working at the Berlin UdK/Design Research Lab on civic design projects, with emphasis on participatory design and the conceptualization of socially oriented Living Labs. In her research, she experiments with the role of design and design’s agencies at the intersection of bottom up processes, public institutions and formalized politics. Bianca studied communication in social and economic contexts with focus on audio-visual communication and new media at the Berlin University of the Arts. In her doctoral theses, she investigated narrative strategies and the representation of memory in biographical documentaries. Since 2013 she has been lecturing design theory and design research at various universities. Since 2014, she has been a board member of the German Society for Design Theory and Research (DGTF). Berlin-based designer Steffen Herm studied product design in Potsdam, Amsterdam and Barcelona. After graduating in 2008 he started working independently for several offices and companies, additionally he continued to work as lecturer for different universities. In 2014 he decided to do his master’s at Berlin University of the Arts where he graduated just one year later. 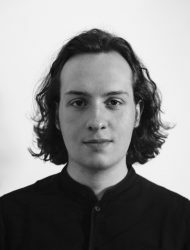 After having worked as artistic assistant for Industrial Design at BURG Giebichenstein Kunsthochschule Halle he currently works as research assistant at Berlin University of the Arts researching on Upcycling methods and strategies of sustainable consumption. 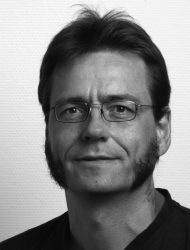 Wolfgang Jonas finished a PhD in naval architecture in 1984 and earned the teaching qualification (Habilitation) for design theory in 1994. He has been professor for process design, for design theory and for system design. Since 2010 he has been professor for design studies at the Institute for Design Research at Braunschweig University of Art, where he runs the new Master in Transformation Design program. His main working areas are systems thinking, methodology and scenario-approaches and the development of the concept “Research through Design”. Is professor for design research at the Berlin University of the Arts and since 2005 heading the Design Research Lab. With international partners, she conducts research and development projects in the areas of human-computer-interaction, gender and diversity aspects in technological development, as well as user-centered design and participation. 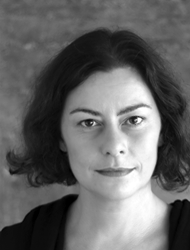 She is the chairwoman of the German Society for Design Theory and Research and board member of Technologiestiftung Berlin. She is member of the board of trustees of the German National Academic Foundation (Studienstiftung des deutschen Volkes), appointed member of the Synod of the evangelical church in Germany (EKD) as well as full member of the Goethe Institute. In 2014 she was appointed as a Digital Champion for the EU commission. Since 2015 she has been a member of the supervisory board of SAP. Guy Julier is the author of “Economies of Design” (2017) and “The Culture of Design” (3rd Revised Edition 2014). 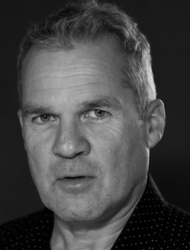 A writer, academic and practitioner, he has over 30 years professional experience observing and researching global changes in design, economics and society. Currently, he is professor of design culture at the University of Brighton. He works in partnership with London’s Victoria and Albert Museum, creating events and research programs that open the museum to questions of design’s critical role in contemporary society. 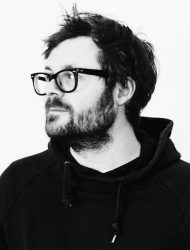 While he was professor of design at Leeds Metropolitan University (2001–2010), Guy Julier founded and directed DesignLeeds, a cross-disciplinary research and consultancy unit specializing in social design. 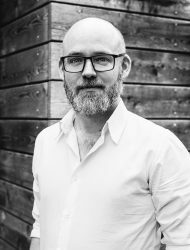 He was also a co-director of LeedsLoveItShareIt, a company formed to develop and prototype new approaches to urban regeneration. He has collaborated with the thinktank, Policy Connect in undertaking a UK parliamentary enquiry into design for public services. His other books include “New Spanish Design” (1991), the “Thames & Hudson Dictionary of Design since 1900” (2007) and “Design and Creativity: Policy, Management and Practice” (2009), co-edited with Liz Moor. 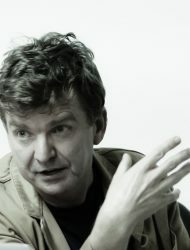 Guy Julier directed the 2009 Leeds Festival of Design Activism and, in association with the Fundació Història del Disseny, convened the 2011 Design Activism and Social Change international conference in Barcelona. In 2013 he guest edited a special issue of “Design and Culture” on design activism. He was a jury member of the Bienal Iberoamericana de Diseño in 2016. Lucas Kuster (*1992) is a freelance designer. He experiments, provokes, speculates, reduces – and thinks about futures. In 2014 he graduated in media design and recently (2017) completed his master’s degree in the Transformation Design program as the very first alumnus. In his master’s thesis he dealt with the difficulty of imagining possible futures. Moreover he experimented with dystopia as a stimulating motive for design interventions (in public space) for behavior change. Since the beginning of this year he has been involved in the development of a digital learning platform for improving the professionalization of adult educators. 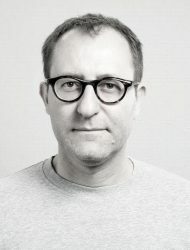 Since 2015 Guido Kühn has been professor for the Cross-Media-Design / Illustration program at the University of applied Sciences Heidelberg, Germany. 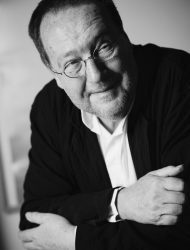 He is the founder and redactor of the Board for Design-Didadictis at the German Society for Design Theory and Research together with Philip Zwerweck, since 2010. From 2001 to 2013 he taught as a professor for AV mediadesign at the University of Applied Sciences Schwaebisch Hall, Germany. From 1999 – 2001 he worked as a scientific researcher at the chair of Prof. Dr. Korte, at the Center for Interdisciplinary Media Science ZIM, Georg August University Goettingen, Germany. Before, from 1996 to 2001 he was a lecturer for 3D animation at the University Kassel, Germany. From 1992 until today he also works as a freelance media designer, consultant and illustrator. 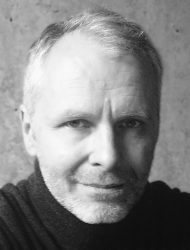 He studied visual communication until 1996, where he took classes by Prof. Rolf Lobeck, Prof. Gunter Rambow and Prof. Manfred Vosz at the University Kassel. He studied fine Arts at the Univerity Kassel, where he took classes by Prof. Harry Kramer (†), Prof. Martin Kippenberger (†) and Prof. Norbert Radermacher. Additionally, he studied business administration and data processing. 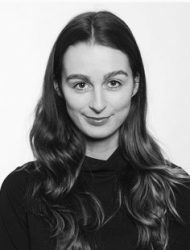 Miriam Lahusen joined the team of the Design Research Lab at the University of the Arts Berlin in 2013. In her capacity as junior researcher, she investigates wicked problems such as questions of sustainability, responsibility and diversity that occur when smart technologies are implemented in daily life. In her practice-based research she implements the methodology of design in participatory, user-centered workshops. At the German Research Center for Artificial Intelligence (DFKI) Miriam is conducting the research project TexaS, dealing with the arising contradictions when smart technologies encounter textile requisitions in different fields of application. Apart from her research, she teaches design methodology at HTW University of Applied Science and Anhalt University. In 2011, Miriam graduated as Meisterschüler from the Weißensee Academy of Art, Berlin. 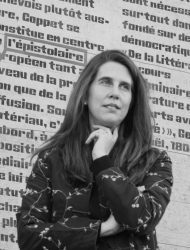 Maria Cecilia Loschiavo dos Santos is full professor for design at the College of Architecture and Urbanism, at the University of São Paulo, Brazil, where she has taught since 1998 following previous appointments at the same university. 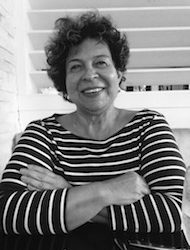 She earned an MA at the University of São Paulo for philosophy, in aesthetics, 1975 and her PhD 1993. Her teaching and research interests include sustainability, social design, inequality with an emphasis on homelessness and recyclable material collectors. She is the author of several books, among them “Design, waste and dignity, Modern furniture in Brazil” and “Jorge Zalszupin – modern design in Brazil”. She is a scientific consultant for Brazilian Research Agencies, such as Fapesp, Fapemig, CAPES and CNPq. Dr. Loschiavo’s current research is about discarded products, design, homelessness and recyclable material collectors. She is the screenwriter of the documentary movie “À margem da imagem” (On the fringes of São Paulo: homeless). She is a scholar of the National Council for Scientific, and Technological Development (CNPq). Sebastian Löwe, born in 1978 in Potsdam, Germany, holds a bachelor’s degree in media and communication studies along with a diploma in media arts. He wrote his PhD thesis on the discursive nature of kitsch, which was published by Neofelis Press, Berlin, this year. Löwe currently works as a post-doctoral research associate at the Department of Graphic Design and Visual Communication at the HMKW University of Applied Sciences for Media, Communication and Management, Berlin and as a visiting lecturer at the Department of Art History at the University of Art and Design Burg Giebichenstein, Halle, Germany. His academic focuses are both on the intersection of aesthetic theory and political discourse, as well as design research and innovation processes. He was co-founder of the socially-engaged thinktank ufo-University and contributes to the interdisciplinary magazine Plot. 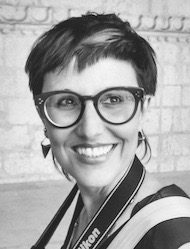 Claudia Mareis is a designer and cultural scholar with specialization in design studies and design research. Since 2013 she has been the director of the Institute of Experimental Design and Media Culture and the founder of the Critical Media Lab at the Academy of Art and Design FHNW, Basel. Additionally, she is also an associated member of the National Centre of Competence in Research (NCCR) of Iconic Criticism at the University of Basel and of the Cluster of Excellence “Image Knowledge Gestaltung” at the Humboldt University of Berlin. Her research interests comprise design and media theories, design methodology and epistemology; knowledge design and experimental media and design practices. Her current research project deals with the history and practice of creativity and ideation techniques in the short 20th century. 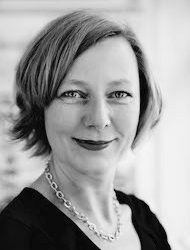 She is also a board member of the German Association of Design Theory and Research (DGTF), and a member of the Swiss Design Network (SDN). 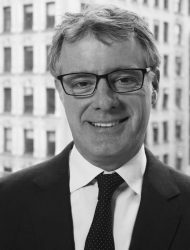 Tim Marshall is Provost at The New School in New York City. As Dean of Parsons School of Design from 2006 to 2009, he led a major restructuring effort and developed an academic plan that emphasized stronger faculty culture and a more integrated and comprehensive suite of undergraduate and graduate degrees. He came to Parsons in 2004 as Associate Dean for Academic Affairs. Previously he was Director of Academic and International Programs and Chair of the School of Design at the University of Western Sydney, where he held a range of academic leadership positions over 14 years. He has written, lectured, and consulted internationally on design research and design education. He co-edited, with Michael Erlhoff, “Design Dictionary: Perspectives in Design”, the first publication of its kind in print (Birkhauser Press, 2007). David Oswald is professor of interaction design at HfG Schwäbisch Gmünd. He studied design at FH Köln (today KISD / TH Köln) and worked there as a research and teaching assistant with Gui Bonsiepe. He has worked with digital media for 25 years mainly independently and led frogdesign’s interface design group in Düsseldorf and Berlin. He has taught in Cologne, Essen, Berlin and Bremen, mostly in interdisciplinary programs bridging design, computer science, business and communication studies. His research comprises interaction design, auditory interfaces, semiotics of interfaces and design history. Apart from writing about interaction design, his latest publications include a book on the Ulm School of Design’s Information Department and papers on design’s relation to politics. Has more than 15 years’ experience working in the social sector across issues of social justice, diversity and social inclusion. She is based in Berlin and currently working as researcher and consultant with different community organizations across Europe to embed design approaches. After being Service Design Manager in a mental health organization in the UK for more than four years, she is currently supporting an online citizens’ movement group, campaigning for a better Europe and citizen-led democracy. She studied politics as her undergraduate and she has an MA in community development. She is currently undertaking a doctoral program at University of the Arts, London on design anthropology, exploring the role of design in future-making practice and for social change. She has published in sector specific and academic journals on her experience of embedding design in the voluntary sector, and her more recent work revolves around exploring the concept of agency and participation in design practice for making publics through provocation, conflict and appropriation. Laura Popplow holds diplomas both in cultural studies (University of Hildesheim) and media design (Academy of Media Arts Cologne). 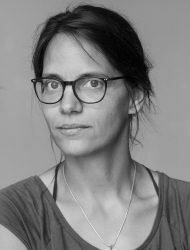 After an excessive research into the transformative potential of fungi and mycelium (FUNGUTOPIA) she has been working on a PhD with the title “Design Participation in Transformation?” at the University of Art and Design Linz since 2014. In 2016, she started the urban co-design consultancy co.city lab with Carolin Holzer. Since 2010 she has been teaching and exhibiting internationally. She has published on locative media, site-specific/community art, bio-electronics and participatory design. From 2012 to 2014 she was a research assistant at University Wuppertal, and helped to establish a new BA program called Interactive Media Design. Currently, she was a visiting PhD at CODE, Co-Design Research Center at the Royal Academy of Art and Design in Copenhagen. Is currently studying visual communications, philosophy and sociology at Heinrich- Heine University and the University of Applied Sciences/PBSA Düsseldorf. In his work he mainly focuses on communication and design theories and practices as well as political theory and philosophy of science. At the moment he is working on the research project and conference series “Pre_Invent” at University of Applied sciences Düsseldorf under the direction of Prof. Mareike Foecking. Susanne is a design researcher with a strong focus on concepts and strategies of sustainability. Currently she works for the German Research Center for Artificial Intelligence (DFKI) and the Design Research Lab Berlin. She studied design at Burg Giebichenstein University of Art and Design Halle and at the University of Buenos Aires, Argentina and gained her diploma at the University of the Arts Berlin in product and process design. 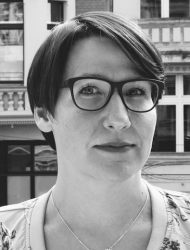 Since 2014 Susanne has also been a lecturer in design theory, design methods and design research, with teaching assignments at several design schools in Germany (UdK, HTW, HMKW). Susanne completed her PhD at the University of the Arts Berlin on the relation of trash and design, inquiring about sustainability in design education. From 2012 to 2015 she held a doctoral scholarship of the German Federal Environmental Foundation (DBU). Christoph Rodatz is an academic assistant at the University of Wuppertal. He studied applied theatre in Giessen. He completed his doctorate “Der Schnitt durch den Raum” in 2010 at the Department of Philosophy of TU Darmstadt, supervised by Gernot Böhme and Gabriele Brandstetter. Parallel to his scientific work, he has always participated in artistic projects. Together with osa-office for subversive architecture financed by Urban Arts Ruhr, for example, the light art installation discharge/recharge was created in the autumn of 2013. 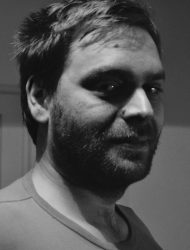 Since 2011 he has been working at the ZHDK as mentor and lecturer for student projects in scenography. In the context of his teaching assignment at Dortmund University of Applied Sciences, he initiated and accompanied the student work “Lichtgestalten” together with Oliver Langbein (professor for scenography) and in cooperation with the Center for International Light Art Unna. Since 2013 he has been an academic assistant at University of Wuppertal, where he mainly teaches in the new master’s program Public Interest Design. Kai Rosenstein studied industrial design in Darmstadt and Manchester. With the collective Rennsalon, he implemented spatial interventions in the sphere of Cologne Furniture Fair. This resulted in numerous collaborations with the activist theater scene, including the Theater der Welt festival (Duisburg), the Hebbel am Ufer (Berlin) and the Mousonturm (Frankfurt am Main). While establishing the design bureau studioschoenstrasse, he also graduated the master program Design Culture at the Zurich University of the Arts Institut Design2context. In addition, he was involved in Ruedi Baur’s central research projects as well as in the management of the course. In 2010 he left the bureau he had founded. Since then, KRDK | Kai Rosenstein Designkultur has been moderating, initiating and directing design processes that promote socially and ecologically sustainable design. In addition, Kai Rosenstein teaches, lectures and regularly publishes on an engaged and civic design. Florian Sametinger is a design researcher, independent interaction designer and lecturer as well as PhD candidate at the Design Research Lab of the Berlin University of the Arts. Besides teaching, he is currently working on his PhD with the topic “Sustainable design? A participatory, citizen-centric perspective on social change in urban neighborhoods”. He co-founded the Sustainable Design group of the DGTF and has been part of the Civic Infrastructures research group at the Design Research Lab, which revolves around the topics of socially sustainable design, participatory design and activism. He studied interaction and industrial design at the Brunel University of West London, the Politecnico di Milano and the University of Applied Sciences Magdeburg. 1988 Michael was born in Altdöbern in the south of Brandenburg. After his A levels he graduated from ESB Mediencollege in Dresden as the best student in graphic design assistance in 2011. Therefore, Michael received the Deutschlandstipendium for two semesters when he started studying graphic design at the FH Dresden. 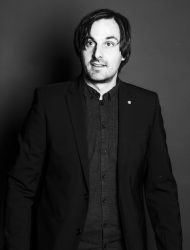 During his bachelor’s degree, Michael gained first practical experiences at the advertising agency BBDO in Düsseldorf and at the marketing agency Wildstyle Network in Dresden. For his bachelor’s thesis he created a “touristic tinder” for the Lausitzer Seenland. 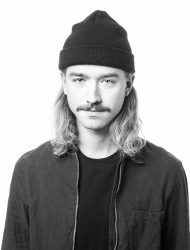 In 2015 Michael decided to start the master’s degree course in communication design at the HAW Hamburg because of its design-theoretical offer. While working on brand design and interface design projects, social and practically oriented aspects always played an important role for him. This is especially evident in his master’s thesis discussing the crystal meth problem in Brandenburg. Judith Simon is a Full Professor for Ethics in Information Technologies at the University of Hamburg. She holds a MA in psychology from the Free University of Berlin and a PhD in philosophy from the University of Vienna. Her current research focuses on epistemological, ethical and political challenges related to data analytics, artificial intelligence and digitalization in general. She is co-editor of the journals “Philosophy & Technology” and “Big Data & Society” as well as section editor for philosophy of the German Editorial Team of the Open Library of Humanities. Judith Simon also serves on the executive boards of the International Society for Ethics and Information Technology (inseit.net) and the International Association for Computing and Philosophy (iacap.org). Pierre Smolarski is an academic assistant at the University of Wuppertal and at the University of Applied Science Bielefeld. He studied philosophy, ancient history and history of art at the University of Jena and finished with an MA thesis about the “Rhetoric of Graffiti”. In 2016 he did his PhD thesis about “Rhetoric as Theory of Design” at the University of Duisburg-Essen. His major fields of research are visual rhetoric, aesthetic of everyday life, urban art and theory of design. Susanne Stauch is a design researcher, trained goldsmith, product and graphic designer. Her research aims at finding expansions in design to contribute to the challenges of a post-growth future, focusing on participatory formats emphasizing embodied cognition to foster inclusion and self-empowerment. Her fieldwork is based in Nairobi, Kenya, where she is managing the projects for the NGO Nyendo, which supervises 14 schools in the slums of Nairobi. As co-founder of the cooperative supernova.institute, which aims at designing non-violent systems, Susanne Stauch is currently organizing a co-creative design workshop in Nairobi, bringing together different local initiatives to create synergies, share knowledge and build a supportive, sustainable network among each other. The last two years, she taught social and transition design as a visiting professor at UdK, University of the Arts, Berlin. Peter Friedrich Stephan (*1959) is a designer and consultant, researcher, author and musician. 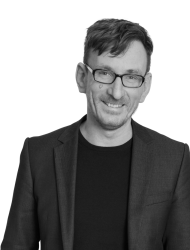 He is full professor for transformation design at the Academy of Media Arts Cologne, guest lecturer at the Berlin University of the Arts and partner with the Institute of Electronic Business in Berlin. 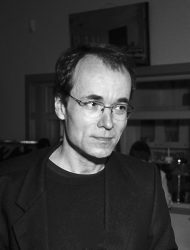 Peter’s projects include “Matters of Concern” (a psychological foundation of design) and “Theorymachine” (infrastructures for knowledge work). He has worked for the banking, publishing and computer industries, NGOs and academia. Peter was a pioneer in multimedia design in the early 1990s with widely acknowledged projects both in experimental and business contexts. His academic career started with co-founding a university program in computational design in 1994. Recently he co-founded the exMedia Lab and post-graduate program in Cologne. 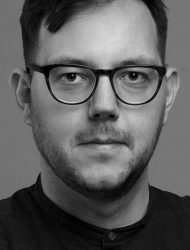 Andreas Unteidig is a research associate & Ph.D. candidate at the Design Research Lab/Berlin University of the Arts, where he explores the relationship between design, technology and the political. He is currently focused on the development of networks and alliances between designers, technologists, activists, and policymakers to collectively create, appropriate and discuss informal and politically engaged approaches to technology. Before joining DRLab, he was first trained as a printer and bookbinder. He studied design at KISD in Cologne and Parsons/The New School in New York and worked as an interaction and service designer. 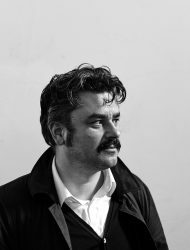 He has been teaching design research & theory since 2013, his work has been published and exhibited internationally. 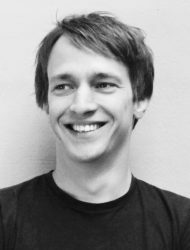 Andreas co-founded the transdisciplinary research group Civic Infrastructures and is currently leading the Berlin efforts contributing to the EU research project MAZI (CAPS). 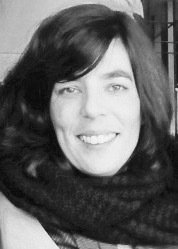 Sara Velez Estêvão is an assistant professor in design at the Faculty of Arts and Letters of the University of Beira Interior and researcher with the LABCOM.IFP, Communication, Philosophy, Humanities Research Unit at the same university. She holds a PhD in communication design from the Faculty of Fine Arts, University of Lisboa. Her current research focus is the author Vilém Flusser and his possible contributions to a communication design theory. She has discussed this subject in various conferences and she has been published on it. 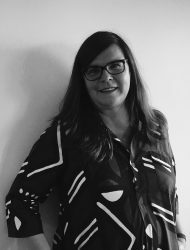 Her main research interests are design theory, mediation of design objects, design and politics and the social impacts and ethical issues of design. 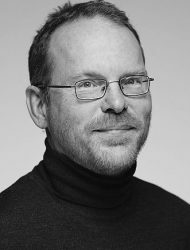 Reto Wettach is a Professor at the University of Applied Sciences in Potsdam/Germany, where he teaches “Physical Interaction Design”. His design research methodology is based around the idea of “democratizing design”. An important aspect of the democratizing theme leads to a strong belief in making technology accessible to non-engineers (for example, designers and artists), and in this way, the power of critically engaging in the development and deployment of high-tech is distributed throughout society. Reto Wettach initiated Fritzing, an open-source project to support designers and artists to take the step from the physical prototyping of electronic circuits to actually making products. Besides his involvement in the academic field, Reto is also the design director with the Interaction Design Studios (IxDS), a design research agency in Berlin. 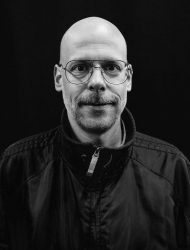 Previously, Reto has worked as Associate Professor with the Interaction Design Institute in Ivrea, and as a designer/researcher with Sony in Tokyo and Ideo in San Francisco. 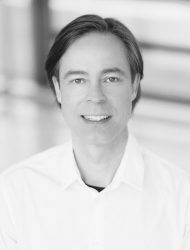 Christian Zöllner (*1981) studied product design in Dresden and finished his diploma in 2007. During his studies, he worked in Vienna and Paris and, together with the Fraunhofer Institute in Berlin, developed tools for spatial drawing in virtual environments. From 2008 to 2014 he taught as an artistic assistant at the University of the Arts in Berlin in the field of experimental design. In addition to the publication of numerous specialist texts, Christian Zöllner holds international lectures and workshops on design, design research, narrative design and rapid prototyping. In 2014 and 2017 he was visiting lecturer for design fiction and speculative artifacts, as well as for design methods and experiment at the Kunsthochschule Burg Giebichenstein Halle. Philip Zerweck is co-founder of designdidaktik.org, SIG from DGTF, research network and blog. 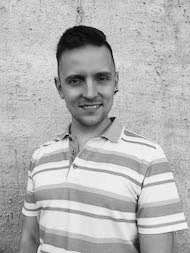 He works as a freelance designer, developer, teacher, coach with focus in design thinking, digitalization, strategic and holistic product design / development and design engineering. He is working on his PhD in design didactics and holds degrees in product design and visual communication, and is continuing studies of mechanical engineering, economy and in the area of innovation management. He holds a certificate of Apprenticeship of Precision Mechanics. Philip Zerweck has 17 years of teaching experience, two years of professional experience as a research assistant at the University of Kassel in the degree programs of product design and engineering, one year of professional experience as a research fellow at the University of Lucerne and a long-standing commitment to professional and academic development.